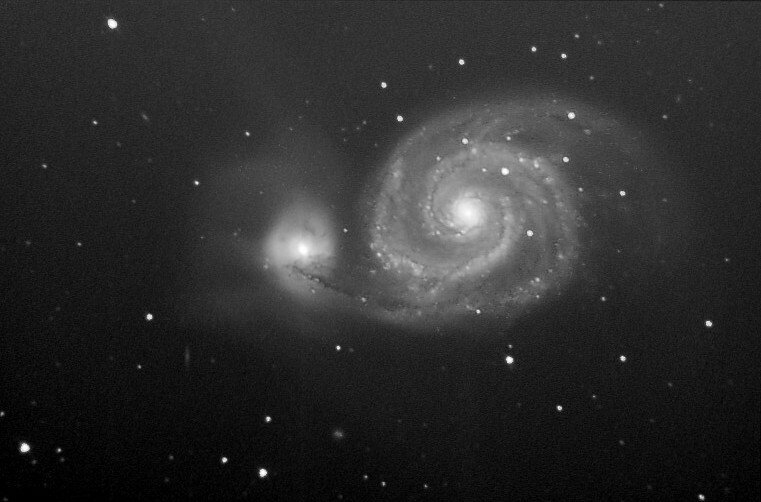 20 x 1 minute exposure on June 8, 2011with the 40cm Newtonian from Beilen, the sky is not dark at all here this time of year. QSI583wsg camera with clear filter. The supernova is the brightest star right and below of the core. 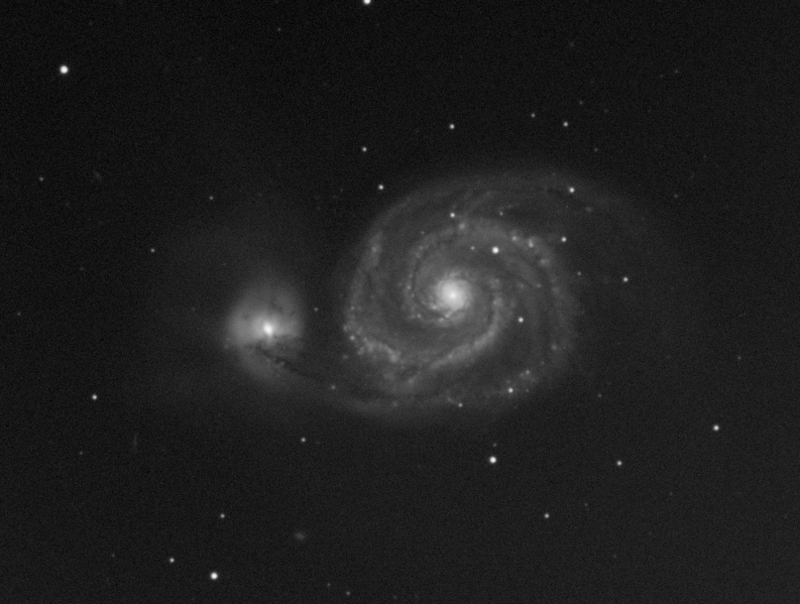 190 second exposure on September 19, 2011 from Beilen with the 40cm F/4 Newtonian. M51 still is just above the roof of our house at dusk.